There’s this friend of mine that’s constantly driving me nuts with their poor choice in partners. She never seems to be able to find a worthwhile person to date and her relationships inevitably crash in flames. Being the good friend that I am, I’ve often tried to point this out to her, but with very little success. It’s likely she sees my suggestions as a bit of an intrusion – it’s understandable. What if there was a matchmaking app that allowed you to have your two-cents, but without seeming so overbearing? Enter Spritzr. This is a new matchmaking app that allows you to sign up and make suggestions to friends on who they might be compatible with. Best of all it’s completely free and it only takes a couple seconds to sign up. The app is compatible with the iPhone, iPad, and iPod touch. If you’ve ever thought you’d like to play matchmaker for friends, or at least think that you could help them do a better job of finding a compatible mate, then you may want to sign up for Spritzr. It doesn’t matter if you’re married, in a serious relationship, or single yourself. You can sign up for this app as a matchmaker only and test your skills as a love matching guru for your friends. One somewhat serious drawback is that you have to use this app in conjunction with your Facebook profile. You can’t simply create an account and begin using it, as it is completely integrated with Facebook. There is good reason for this though – if you’re going to play matchmaker with friends where better to find those friends than on Facebook? That’s the theory behind this app and the reason that it’s integrated so closely with one of the biggest social media outlets in the app world. This isn’t just an app for those that want to play matchmaker. If you’re single and you’re looking for a new way to find potential life mates this is a fun way to do it. Traditional dating sites are sort of a free-for-all, where you put your name in a hat and hope that you find someone that’s compatible. That’s not the case with Spritzr – in this app you do put your name in that hat, but then you have access to the advice of friends and even strangers to help point you in the right direction. When someone that’s interested in using Spritzr as a potential forum for their love life signs up they are encouraged to create as detailed a profile as possible. You can include things such as whether or not you are interested in having kids, what schools you graduated from, where you work, and what type of interests you have – in other words, typical dating site information, for a not so typical matchmaking app. The fact that you have to use this in conjunction with your Facebook profile is not the only drawback. If you’re using the app to act as a matchmaker amongst your friends you might find it a little awkward. To get the ball rolling you’ll have to scroll through all of your friends to find the one you’re looking for, as there is no simple way of searching for their name. It’s a bit of a pain and it would be nice to see the developer add a simple search feature in a future upgrade. Perhaps my favorite feature of this app is that you can play matchmaker for complete strangers. It’s sort of like being the host of the dating game, if you remember that old show, only everything happens right online. You can simply search for the profiles, find a person that catches your interest, and then find another one you think matches well with them. It has the potential to be a lot of fun and a great way to waste a little time. The developer has also made the process of trying to bring two complete strangers together nice and easy. When you find two people that you think are compatible you can simply drag the thumbnail of one of those individuals onto the profile of another to register your vote. If there are a couple of other users that agree with your choice, those individuals will then be offered up as a love sacrifice – just kidding about that! They’ll actually be sent a notification that lets them know about the potential match and it’s up to them to take it from there. This is where it really gets fun – at least for the matchmaker’s. The more you play matchmaker on this app the higher your profile becomes. You can actually receive something called karma points. These are points given to matchmakers every time they suggest a successful match. The more karma points you gather the higher up the leaderboard you go. Individuals on the leaderboard are rated as bronze, silver, or gold contributors. As you might have guessed, gold is the highest rating. 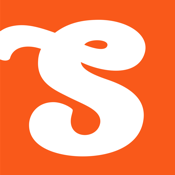 Spritzr is a fun and creative app that the dating scene has been crying out for. After all, who doesn’t want to play matchmaker for their friends right? Best of all, you don’t have to be single to play without offending anyone. Now’s your chance to try your hand at amateur matchmaking! I highly recommend giving it a try.